Nylon-wound carcass reinforces shape for long-lasting performance and durability. TPU cover holds strong against potential tears and abrasions. 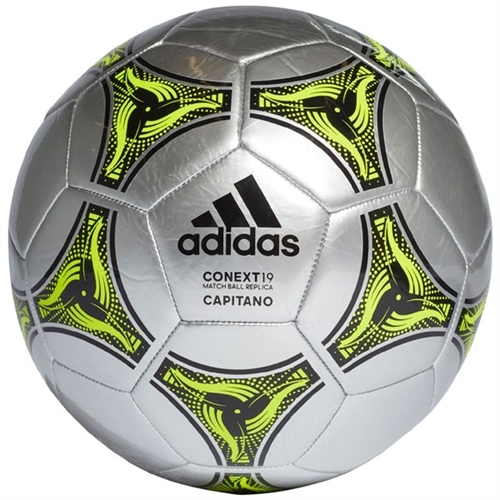 Our adidas Context 19 Capitano Soccer Ball is a machine-stitched construction (nylon-wound carcass/TPU) ball which ensures soft touch and high durability. 2019 FIFA Women’s World Cup™ inspired graphics and logo are printed on the panels of the ball . I would like my uploaded logo to be printed on the soccer ball I chose.